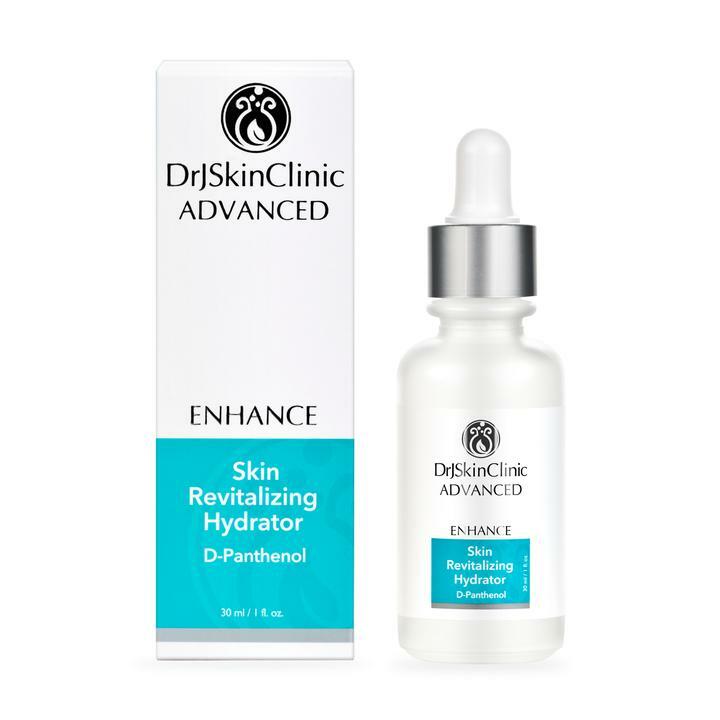 Dr. J Skin Clinic, Skin Revitalizing Hydrator 1 oz Restores hyaluronic acid, your skin’s natural moisture, and replenishes nutrients. Skin will feel smoother and appear younger. Restores hyaluronic acid, your skin’s natural moisture, and replenishes nutrients. Skin will feel smoother and appear younger. D-Panthenol and polyphenols will help soothe sunburn, windburn, and shaving irritation. Recommended for all skin types, including combination skin in need of moisture, but not excess oil.